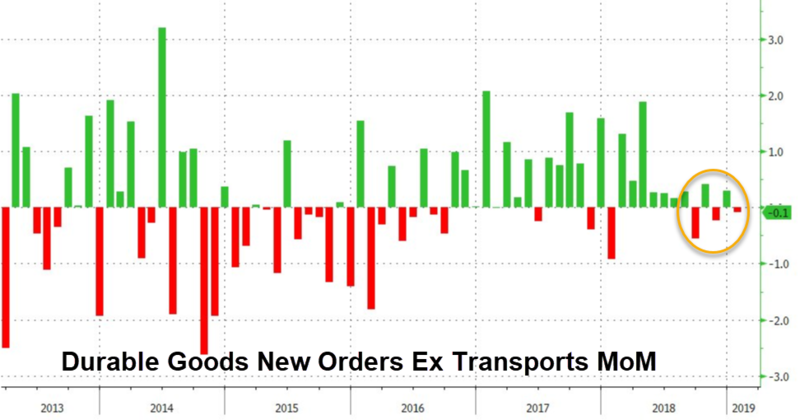 As Bloomberg notes, the improvement in demand, underscored by orders for machinery and communications equipment, suggests a solid start to the year for manufacturers that should support economic growth in the first quarter. At the same time, other data for February give a more muted picture, with the Institute for Supply Management’s factory index falling to a two-year low in February and manufacturers adding the fewest workers since 2017. 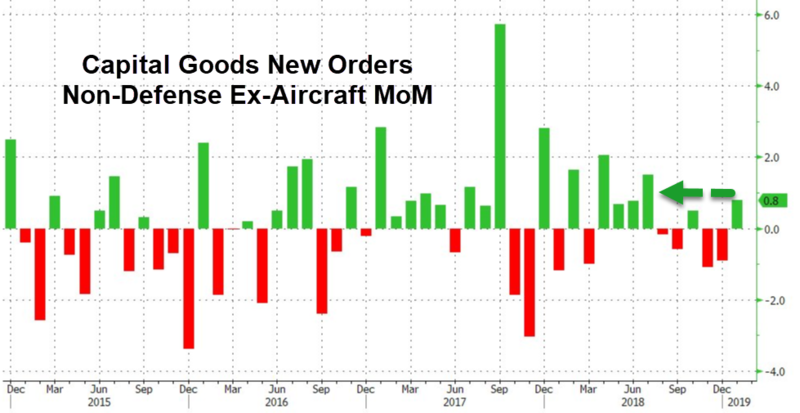 Finally, we note that amid the ongoing Boeing debacle, total durable-goods orders, which gained 0.4 percent from December, got a boost from the volatile transportation category, reflecting a 15.9 percent rise in bookings for civilian aircraft and parts. Separate data showed Boeing’s aircraft orders fell in January to less than a quarter of the prior month’s total.